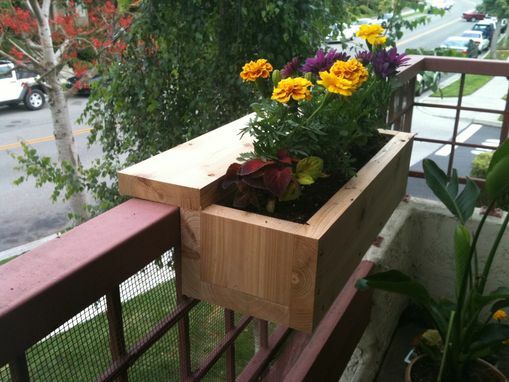 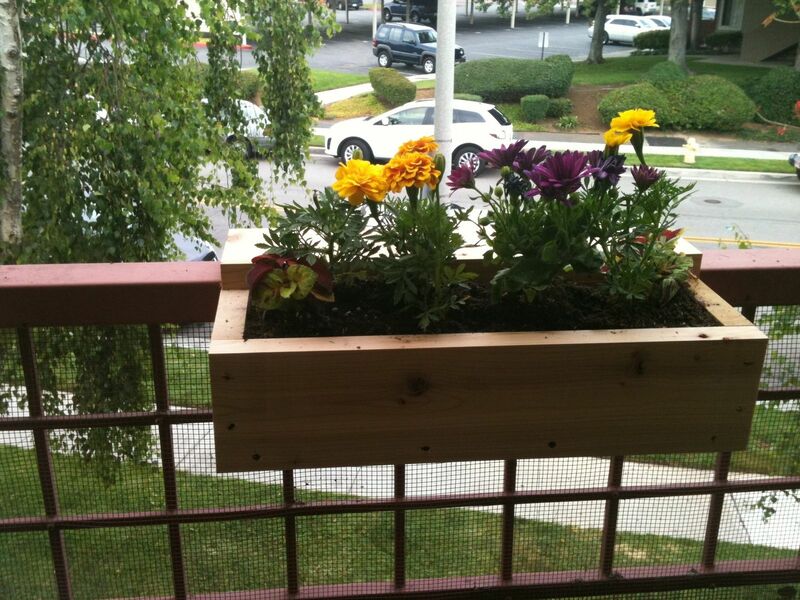 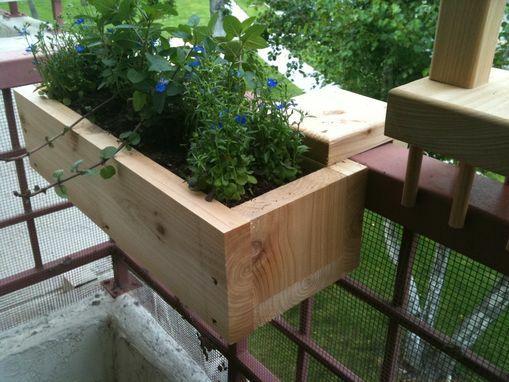 These simple flower boxes are designed to hang off a railing in order to maximize the little bit of space some people are left with when living in a condo/apartment. 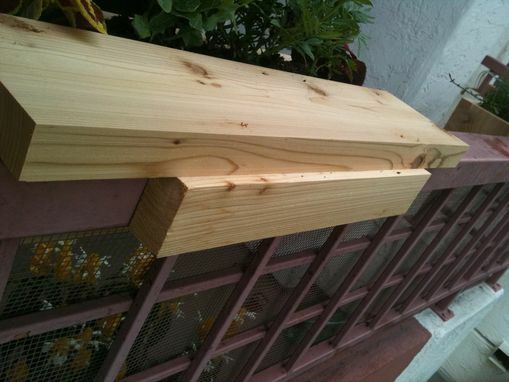 To get a snug fit for your flower box there are a few measurements that I need from your railing, and a picture. 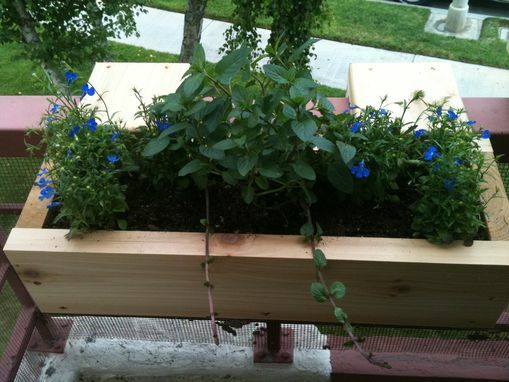 Boxes shown are 21" long and 6" wide but can be built to any specification.